Desiderius Erasmus (1466-1536) is among the most portrayed people of his time. The Rotterdam-born humanist was painted by Quinten Massys, Hans Holbein the Younger and Lucas Cranach. 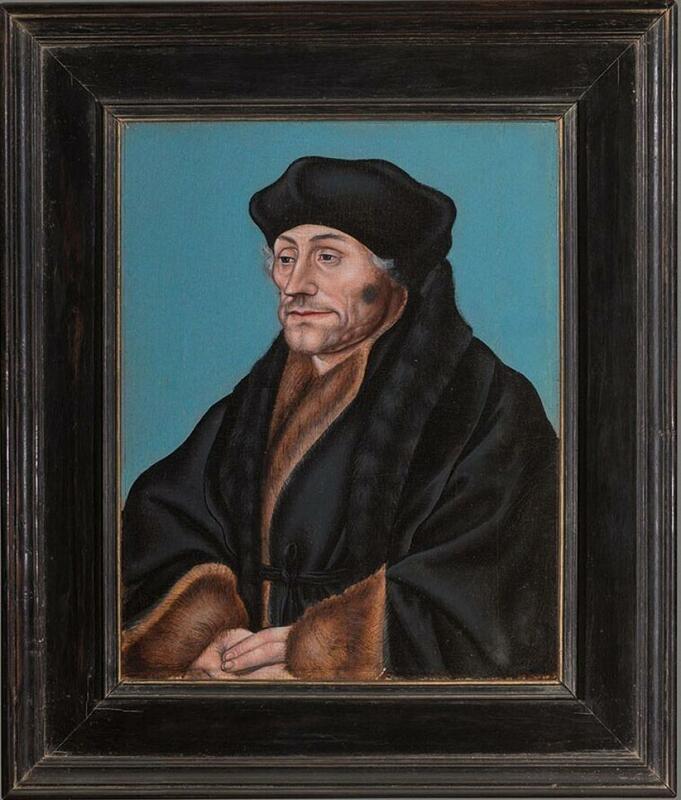 This is the best of Cranach's portraits of Erasmus, probably painted during Erasmus' life or shortly after his death.